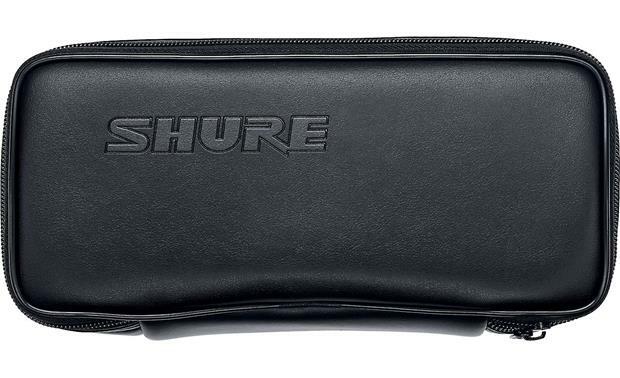 The SM27 comes with a shock mount and a carrying case. 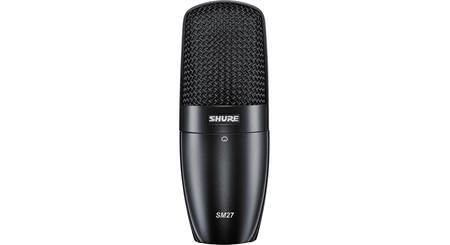 Shure designed the SM27 condenser microphone to handle a variety of jobs. Vocals? The large diaphragm provides excellent transient response, so you'll pick up the smallest details with ease. Strings and winds? The flat frequency response ensures natural, smooth sound. 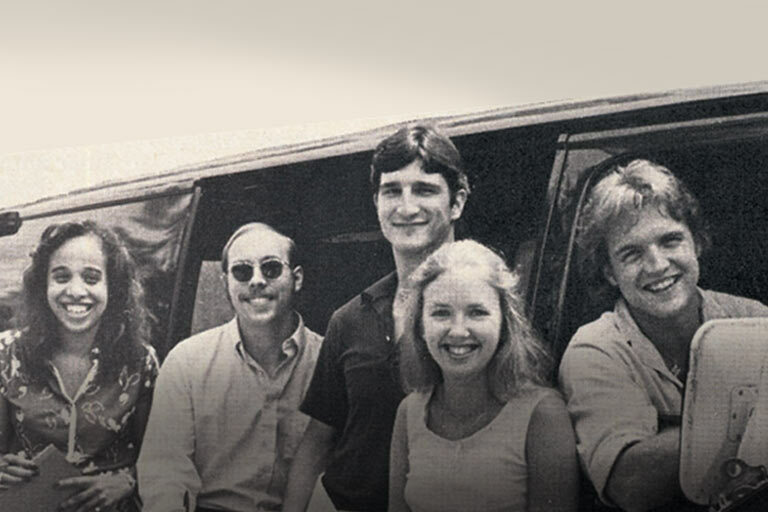 A blasting horn section? Flip on the 15dB pad to handle high sound pressure levels. And you can adjust the switchable 3-position low-frequency filter to reduce the proximity effect and eliminate unwanted low-end rumble. 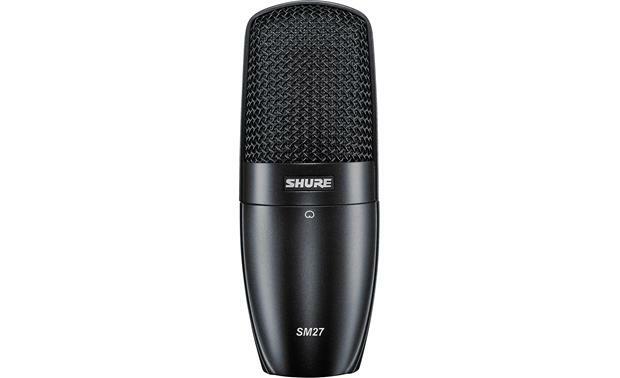 The SM27 is tough enough to handle life on the stage as well as the studio, thanks to its durable metal construction. 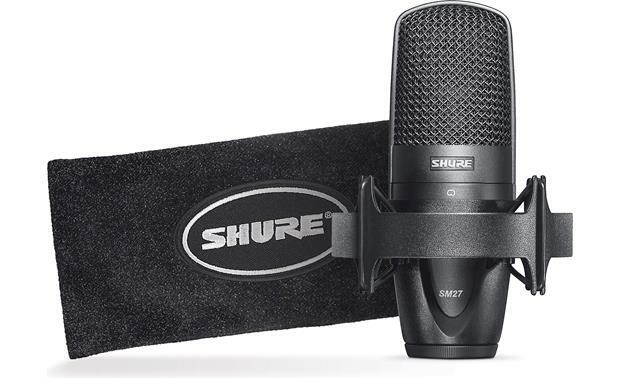 Overview: The Shure SM27 is a side-address cardioid condenser microphone. 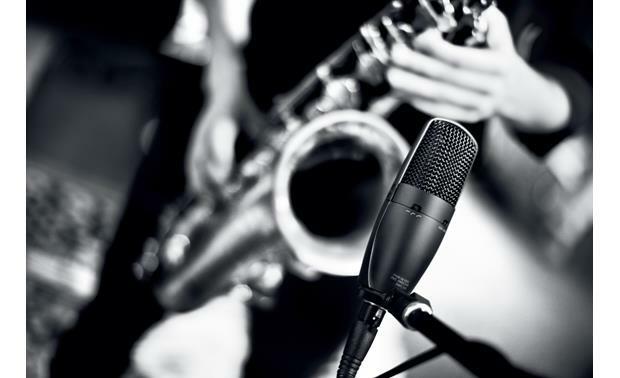 It is ideal for vocals, as well as acoustic and amplified instruments. It comes with a ShureLock Rubber Isolated Shock Mount (A27SM), and a velveteen storage pouch. 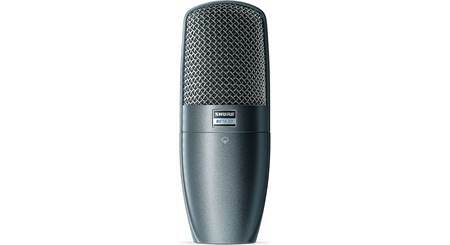 Microphone Positioning: The microphone should be placed in an upright position, with the sound being directed toward the side-facing diaphragm. 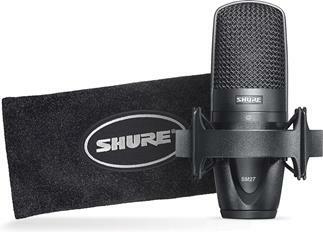 The front of the microphone is marked by the Shure logo. Sounds coming from the opposite side of the diaphragm will be significantly reduced because of the cardioid pickup pattern. 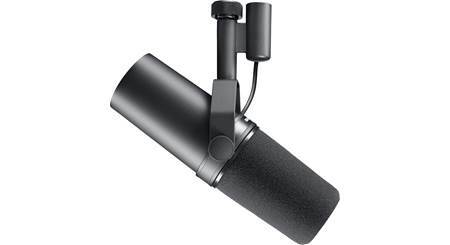 Integrated Pop Filter: The microphone grille consists of three separate layers of mesh that act as a pop filter. It can reduce wind or breath noise. 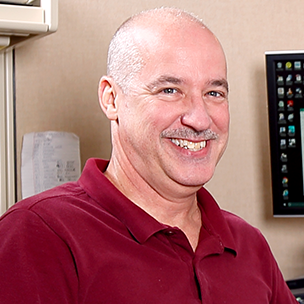 In some cases, an optional external pop screen may be needed for close-miking vocalists. Shock Mount: The SM27 comes with the A27SM ShureLock Rubber Isolated Shock Mount. The mount features a circular "cup" (where the microphone is placed) which is suspended with elastic bands inside an outer ring. This floating design mechanically isolates the microphone from vibration and shock that may be transmitted through the mic stand, causing unwanted noise in the microphone. Cardioid Pickup Pattern: The SM27 has a cardioid polar pattern for maximum gain before feedback, and excellent rejection of off-axis sound. 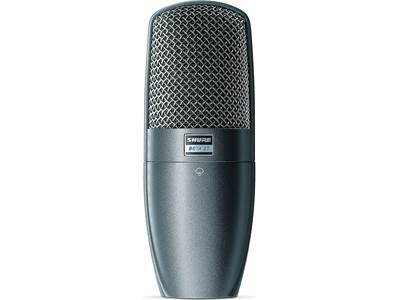 Phantom Power: The SM27 is an electret condenser microphone which requires a balanced, microphone-level input that provides phantom power (+48V DC / 5.4 mA recommended). Phantom power can be supplied by the mixer or audio interface that the microphone is connected to. Usually the mixer has a switch to activate the phantom power. Attenuation Switch: The attenuation switch, or "pad" lets you reduce the signal level without altering the frequency response. This prevents extremely loud sounds from overloading the microphone. 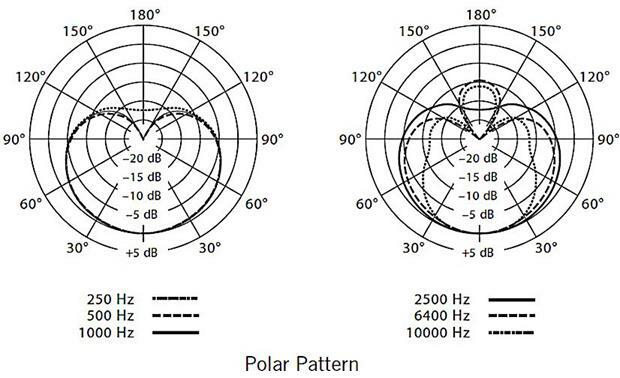 The two settings are 0dB (no attenuation) and -15dB (attenuation on). 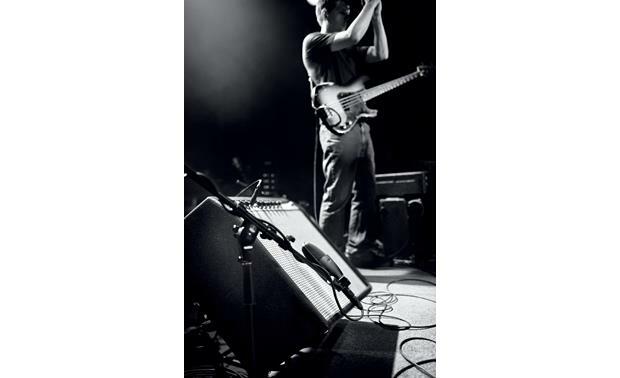 Flat Response (bypass): This setting provides natural sound with no low-frequency reduction. 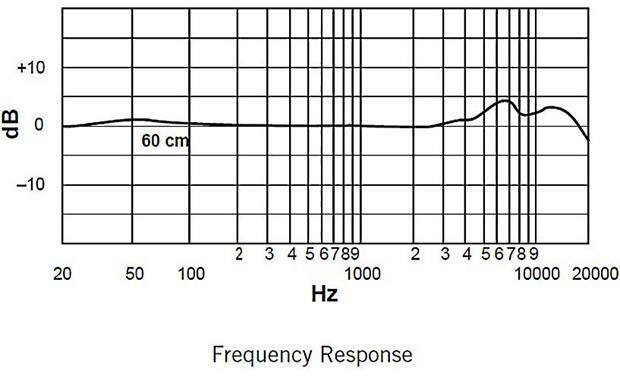 Low Frequency Cutoff: This setting provides an 18dB/octave cutoff at 80Hz. It helps eliminate floor rumble and low frequency room noise from heating and air conditioning systems. Can also be used to compensate for the proximity effect. Low Frequency Rolloff: This setting provides a 6dB/octave rolloff filter at 115 Hz. This is used to compensate for the proximity effect or reduce low frequencies that can make an instrument sound dull or muddy. Thread Adapter: A 5/8"-to-3/8" thread adapter is included. This adapter allows the mic clip to be attached to a mic stand with a 3/8" threaded connector. 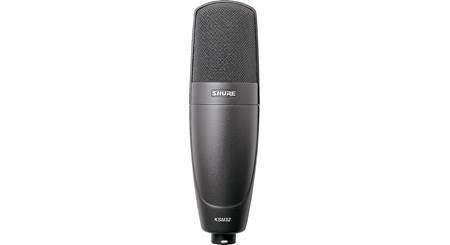 Searches related to the Shure SM27 Large-diaphragm cardioid condenser microphone.